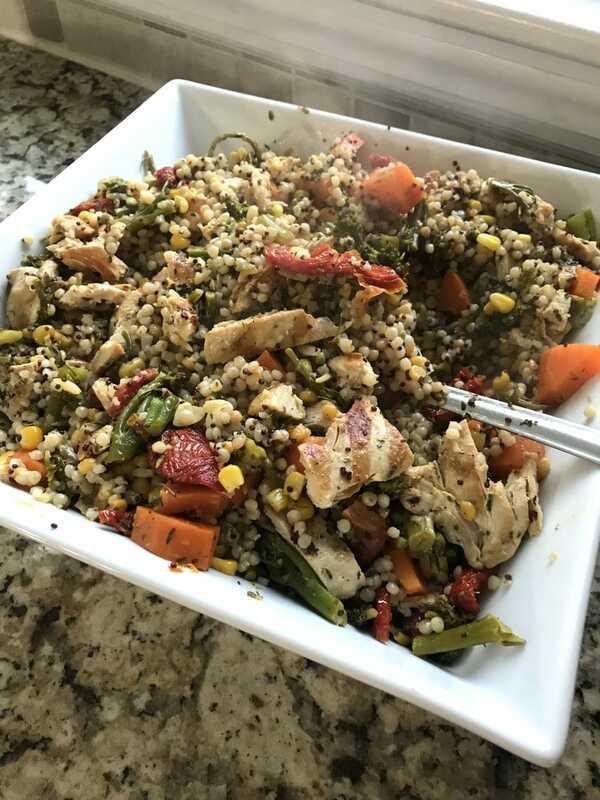 I wasn’t planning on posting about this chicken and vegetable couscous recipe. I made it while messing around and trying to use up some leftovers that I had in the fridge. Unfortunately, I don’t have any prep pictures because it was just supposed to be a regular meal. However, it turned out great… so I just had to post!! Please forgive the lack of photography. 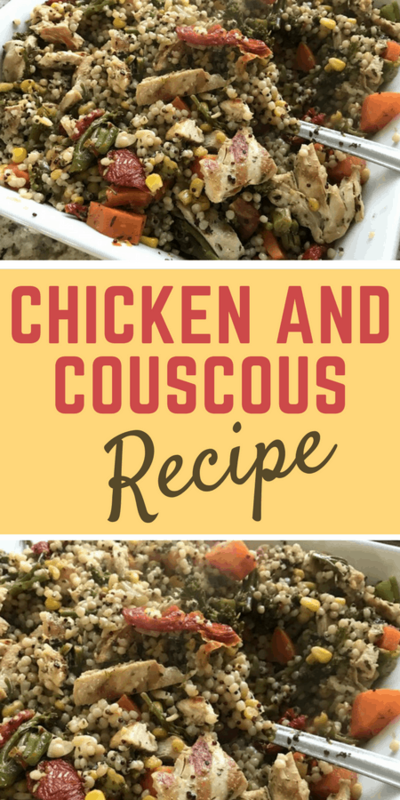 Here’s what you need to get started on your chicken and vegetable couscous recipe. 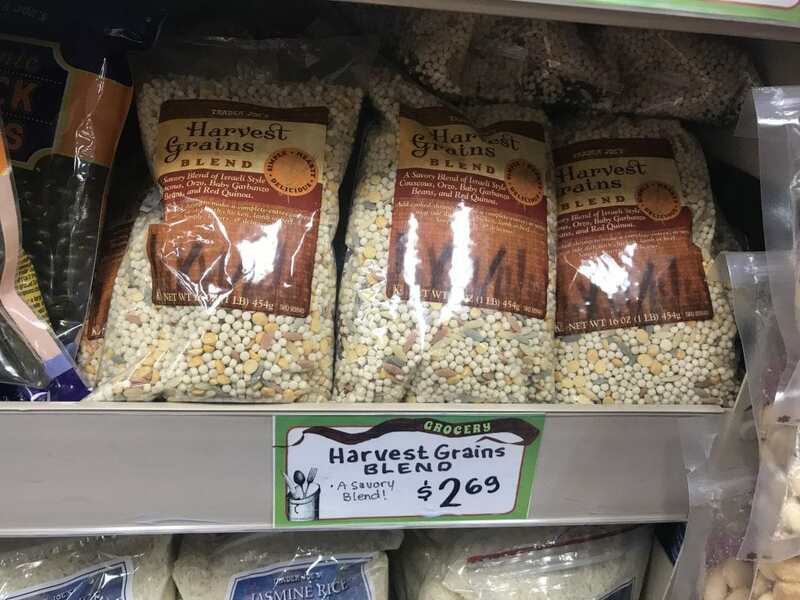 1 bag of Harvest Grains Blend from Trader Joe’s (this is one of my favorite products that is sold at the store) If you don’t live near a Trader Joe’s, then replace with a bag of couscous (16oz) or buy it online here. Grill your chicken any way you’d like. I always use this tool when making chicken. Set aside. In a large pot, saute the carrots, broccolini, onions, and garlic with three tablespoons of olive oil – salt and pepper this layer. When it is almost done, throw in the chopped sundried tomatoes and can of corn. Warm through. In a separate pot, use the chicken stock and make the entire bag of the couscous (as directed). Once everything is cooked, combine! Add some more salt and pepper if needed and enjoy!